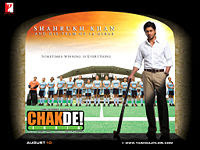 "Chak De India enters management books"
In the movie, the hero (kabir khan) takes-up the herculian task of coaching women's hockey team and finally the team wins the women's world cup. 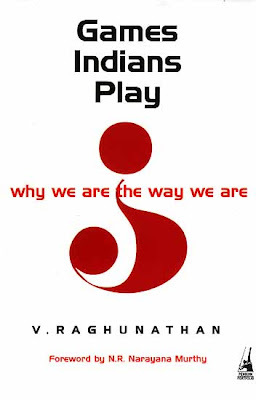 Starting from building a team with complementory skills, the hero demonstrates elements like patriotism,leadership and personal experiences to make the movie interesting.In 2001 'Lagaan' created lot of exicement by taking up a similar story. These type of movies get huge popularity ranging from companies to b-schools. Even though these type of movies are really vital to have a 'positive' thinking going among Indians, they take us very far from the reality. Added to that the movie directors smartly add the required 'sentimental' elements to tap the average Indian fan and make the movie as a box-office hit. understand this reality, these type of movies will simply be a time-pass formality. Agree 100%. These movies simply have a "feel good" factor about them. Thats about it. Real management lessons are very hard to portray in a 3 hour movie. The management only tries to motivate and find people who voluntarily want to assume responsibilities. I believe it is an essential part of management to do it. Also they need only 1 out of 10 / 20 people for that kind of job.